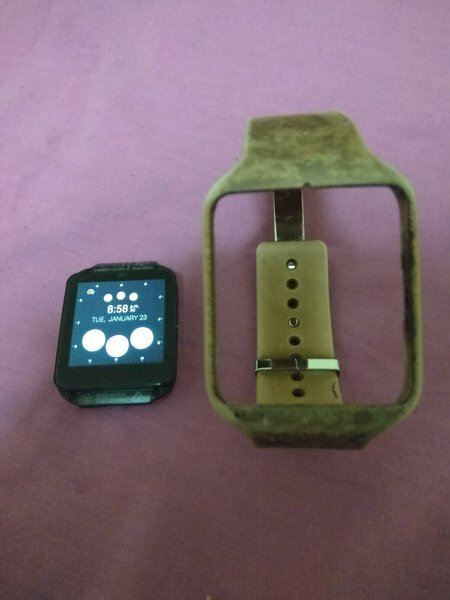 Sony Smart Watch 3 , start custom colour faded. Used. Just only watch available no scratches. Pls check the start Color. It's custom colour faded. Zach Efy ok thanks alot. you did that ? how long did it last ? Youae u can do good spray paint. quality one. or hard metallic paint will also be good. don't do cheap paints. it may not stay for long. 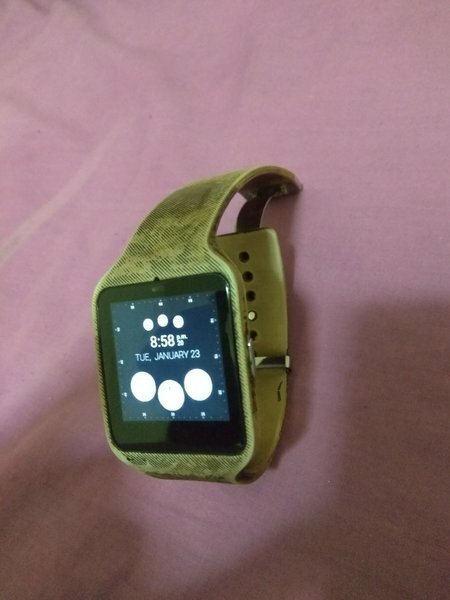 Youae band I think u can get from alibaba and this can be colored.if u use good Color it will stay. Zach Efy where can i get another band ? if not this one can be colored ? Zach Efy can make 210 ? Youae it's only watch I have. no charger. charger is the normal Samsung usb charger. Youae no scratches on screen. Zach Efy scratches on screen ? Saithu Anees what about charger? Youae no fault. its just Color faded. 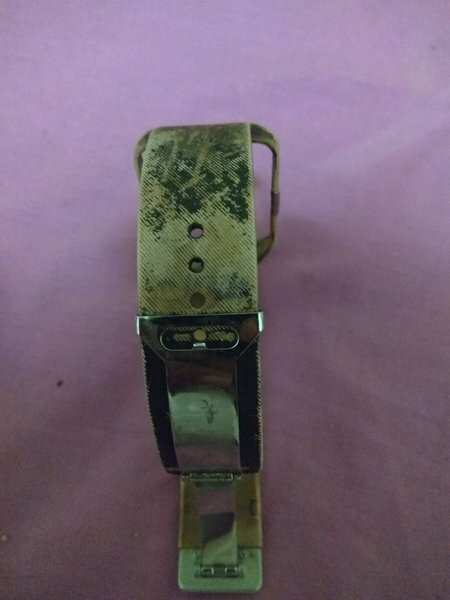 don't have other band. Youae yes. it was a custom colored and the Color faded. 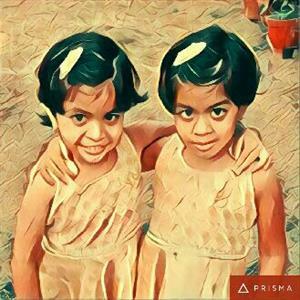 Rejeesh Gireesh the band colour is faded ?